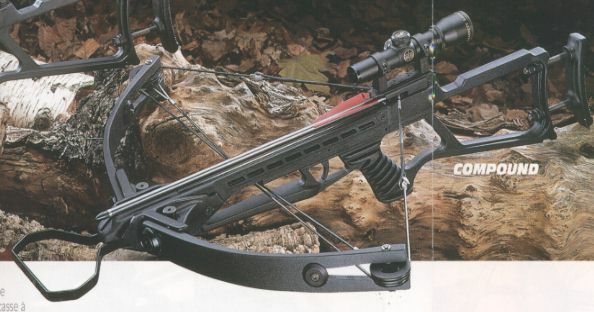 Barnett ranger crossbows. Novice or accomplished shooter? The ranger series of crossbows offers you, the shooter, the choice. A high strength injection moulded body with extendable stock and powerful straight limb design provides excellent quality and durability. Available with 150lb draw weight recurve or compound limbs. The Ranger crossbow comes to you complete with its own factory fitted 4x20 scope. 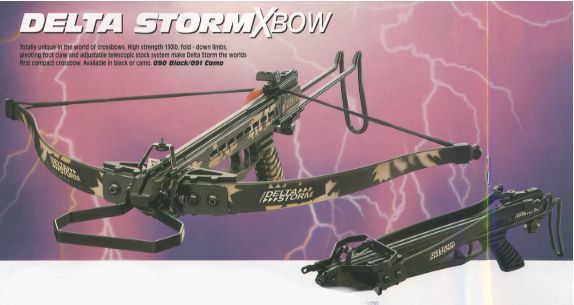 Totally unique in the world of crossbows. High strength 1501b. fold - down limbs, pIvoting foot claw and adjustable telescopic stock system make Delta Storm the worlds first compact crossbow. Available in black or camo.